This little and easy to use pattern is very useful, but still unknown to many people. Maybe it’s because when someone says “pattern”, we automatically think of patterns invented by the Gang of Four. Even if this one is not part of the original 23 GoF design patterns, it’s worth taking a look at it, since it can make design more clear. is duplicated over and over again through each and every layer of the application. It is necessary, after all, or else the application will throw a beautiful NullPointerException. So what’s the benefit? When our database query returns null (remember, we have to check here that the returned value is null or not), we don’t push it forward. 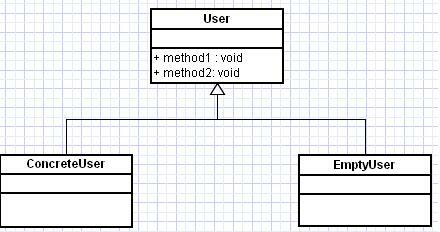 We simply instantiate an EmptyUser object, which will be safe to call any method on. This way we can eliminate each and every if-null constructs (but the first). The design can now focus on the logic itself, rather than keeping doing null checks. isIsbnValid is pretty straightforward. It returns true if an ISBN value is valid, false otherwise.